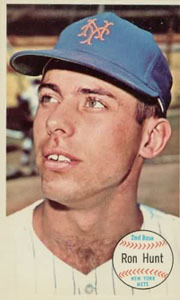 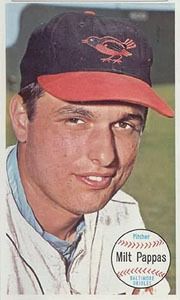 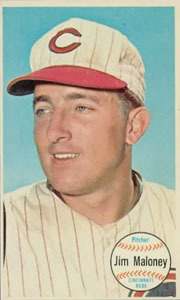 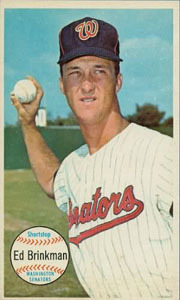 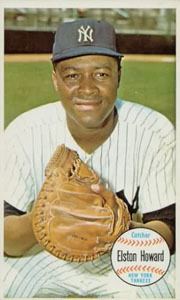 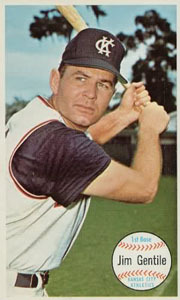 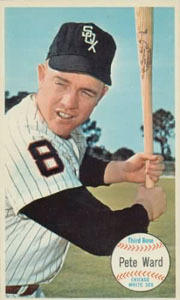 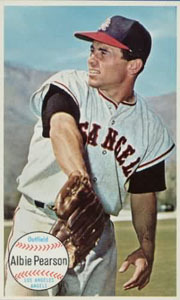 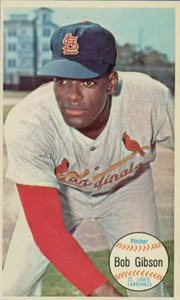 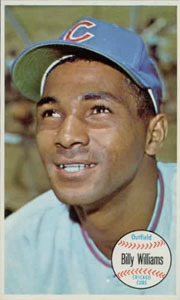 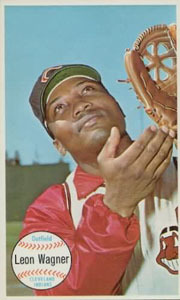 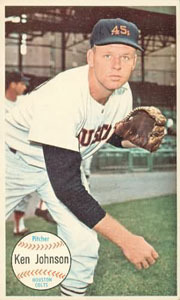 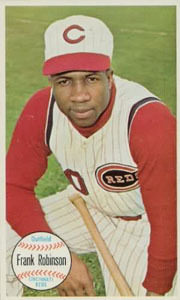 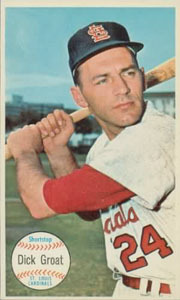 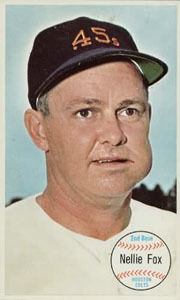 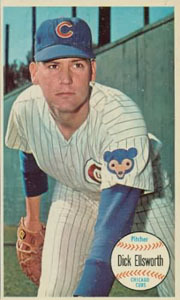 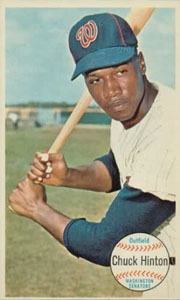 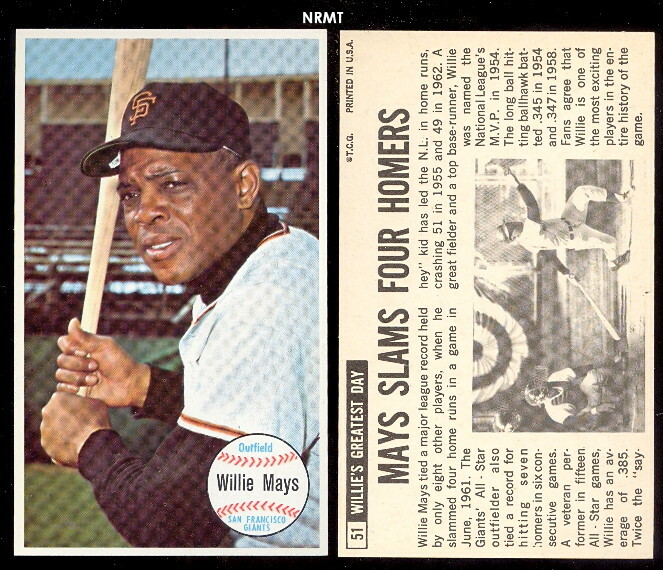 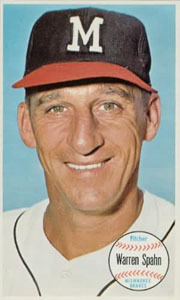 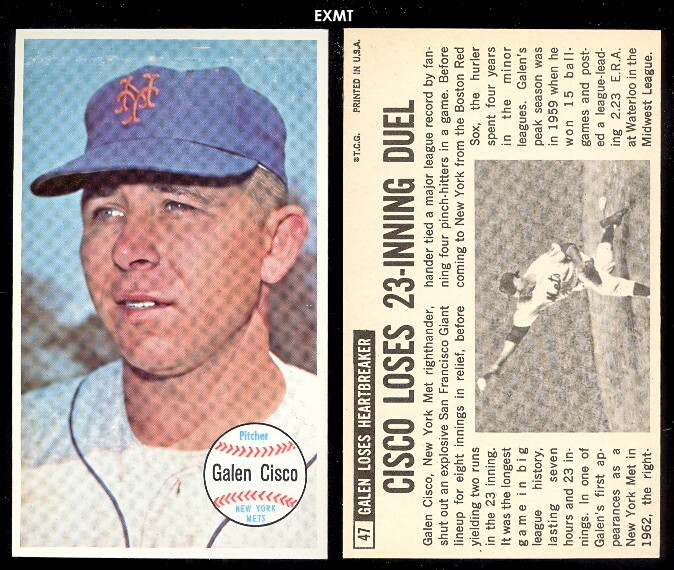 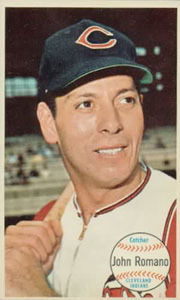 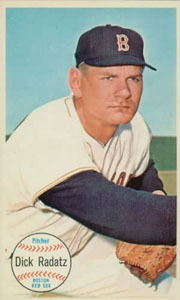 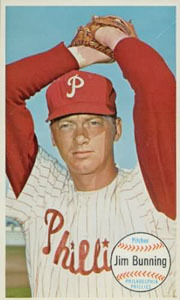 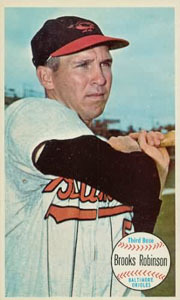 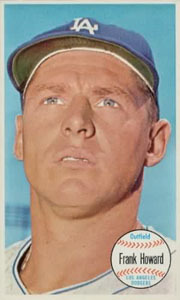 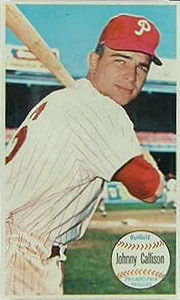 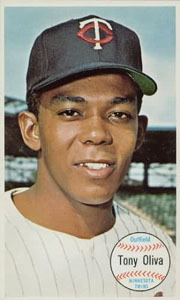 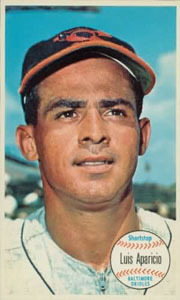 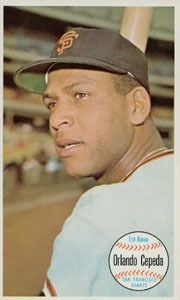 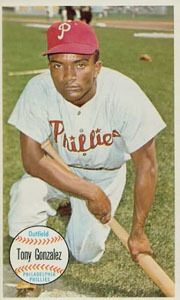 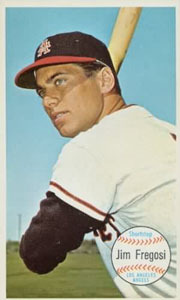 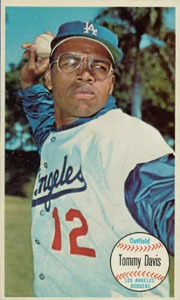 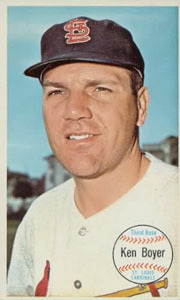 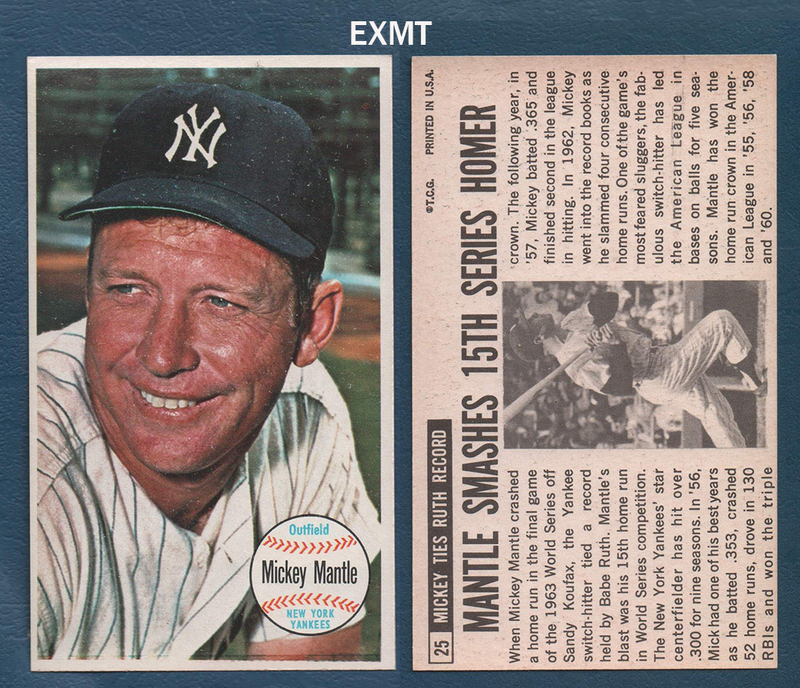 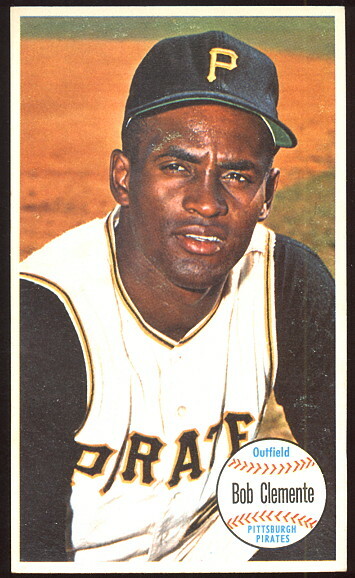 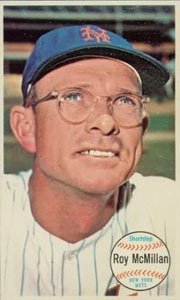 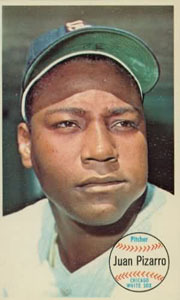 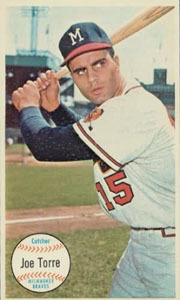 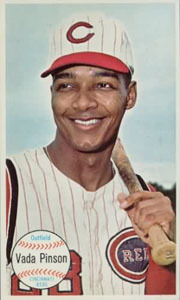 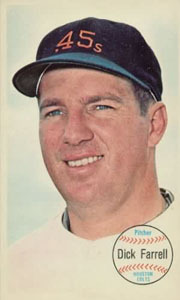 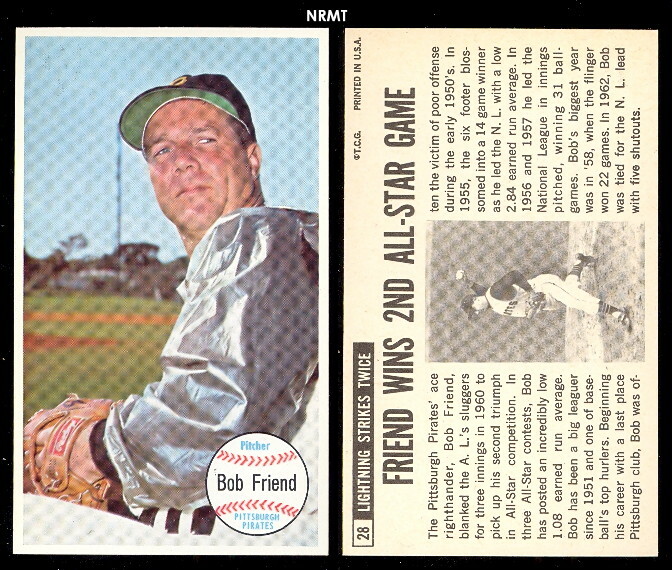 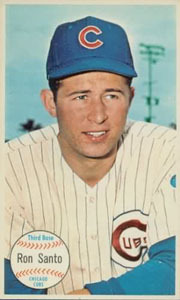 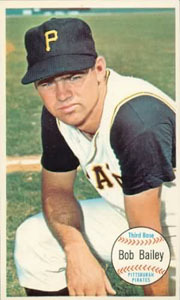 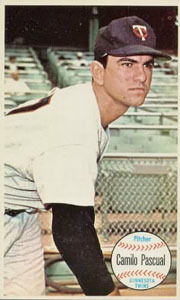 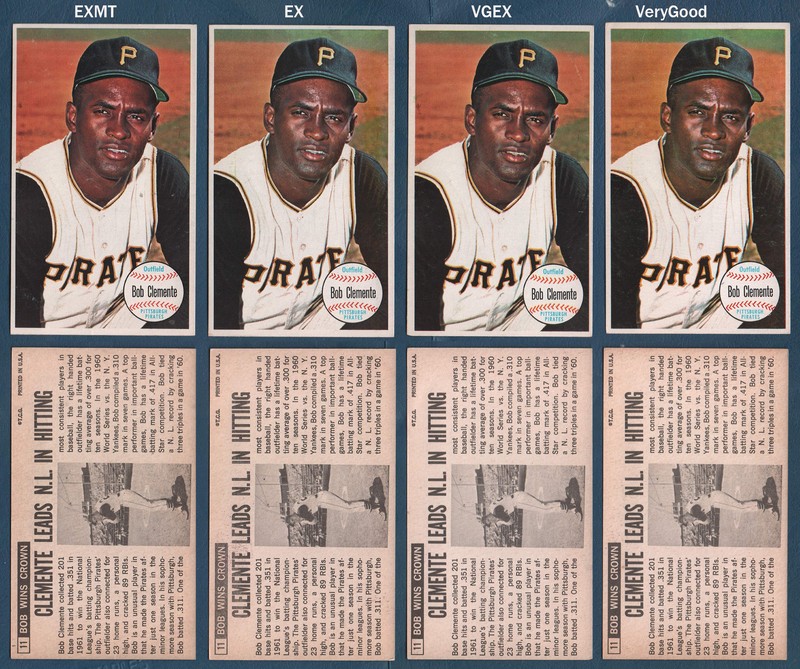 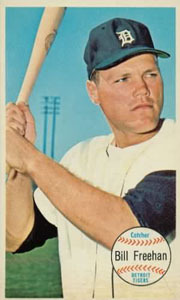 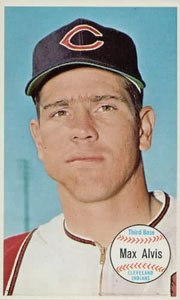 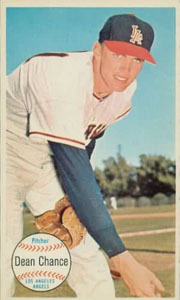 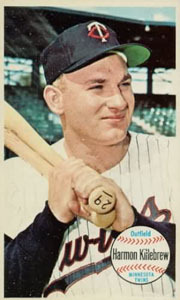 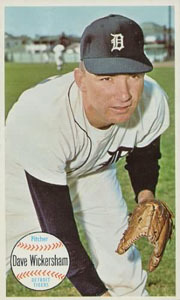 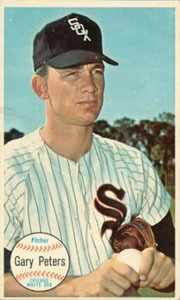 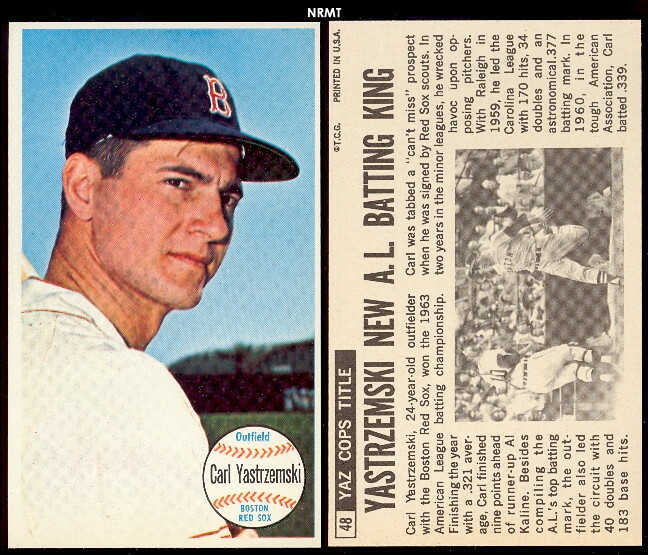 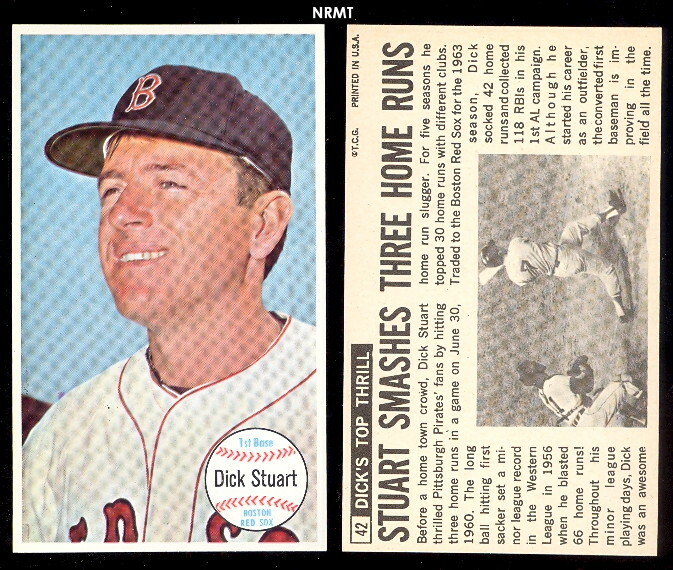 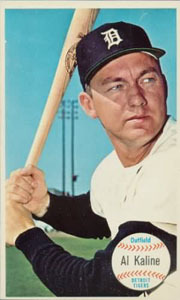 This 60 card set, issued in 1964 measure 3-1/8" X 5-1/4", was Topps first post card sized issue. 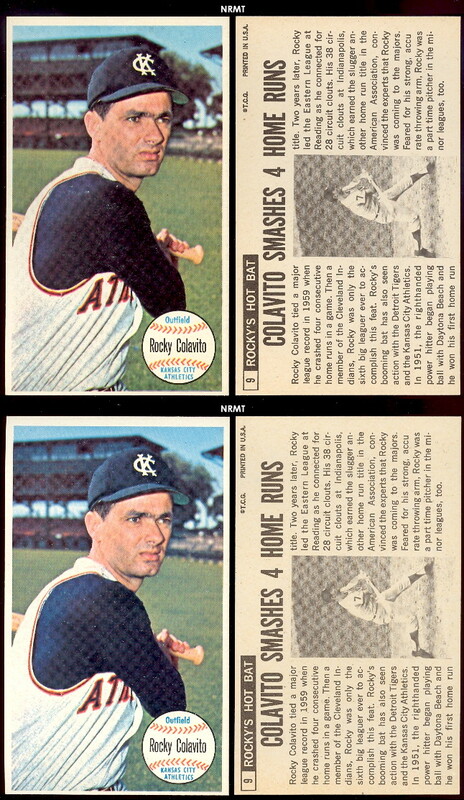 They have an additional photo of the player on the back along with a newspaper type write up of a career highlite of the player. 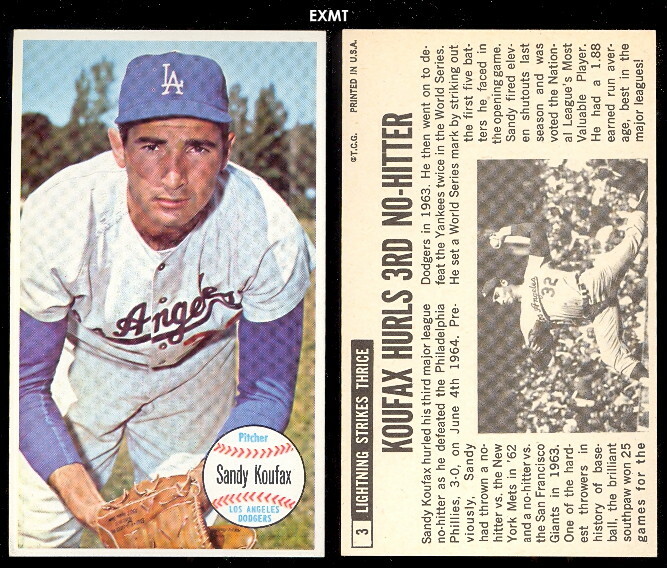 There are seven short printed cards that are significantly more scarce including Koufax and Mays.